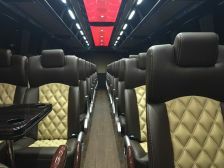 Our high top luxury Minibuses offers top-notch transportation service to the airport or anywhere, and our charter van's are the perfect size for group transfers, corporate events and client excursions! 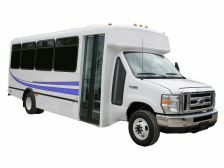 This is 25 passenger minibus plus large luggage room. Some people hear of limousines and automatically associate them with the high and mighty. We also plan private city tours, wine tasting tours and custom group charters to anywhere. Our high top luxury Minibuses offers top-notch transportation service to the airport or anywhere, and our charter van's are the perfect size for group transfers, corporate events and client excursions! This is 32 passenger minibus plus large luggage room. Some people hear of limousines and automatically associate them with the high and mighty. We also plan private city tours, wine tasting tours and custom group charters to anywhere. 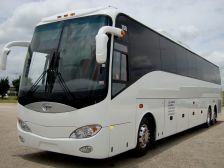 Our high top luxury coach buses offers top-notch transportation service to the airport or anywhere, and our charter van's are the perfect size for group transfers, corporate events and client excursions! 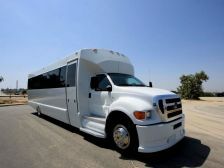 This is 55 passenger minibus plus large luggage room. Some people hear of limousines and automatically associate them with the high and mighty. We also plan private city tours, wine tasting tours and custom group charters to anywhere. 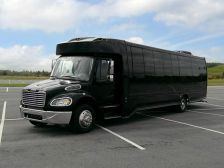 This is Executive Mini Coach bus for 51 passenger plus under Belly Luggage Space. For group transportation, Airport Group Transfer, Convention Transfer, Transfer for Business Meetings. Business dinner transfer and Corporate group travel and transfer.